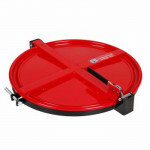 Overfilling drums can be avoided with a Pop-Up Drum Fill Gauge. Knowing when a drum is full prevents overspill that leads to slips and falls by workers. 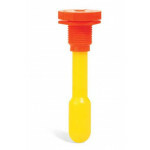 Compatible with some PIG® Poly Drum Funnels.